In Japan, ancient samurai utilized the base of Mount Fuji as a remote training area to prepare for battle. FUJI, meaning abounding with warriors, has outfitted thousands of professional martial artists since the 60's. Its products include Judo Gi, BJJ Gi, Karate Gi, MMA Fight Shorts and Rash Guards just to name a few, have been put to the test during rigorous competitions and training sessions. The result is a high quality brand of products originating from Japan that are built to last and have proven to withstand the ultimate punishment on the athletic battlefield. FUJI - Prepare for Battle! 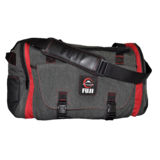 FUJI is the official brand of some of today's most revered martial artists; such as, Royler Gracie, Pedro Sauer, Relson Gracie, Jeff Curran, Igor Gracie, Rolles Gracie, Ronda Rousey, Rick Hawn, and Jimmy Pedro. FUJI is owned and run by a team of passionate, professional martial artists who desire to keep the true spirit of martial arts alive.